Meg Jones is responsible for the design and implementation of the multiyear, multimillion dollar program to increase the economic benefits women derive from trade. She works with women-owned enterprise to connect them to corporate and government buyers and with institutions and government to improve the business environment for women exporters. 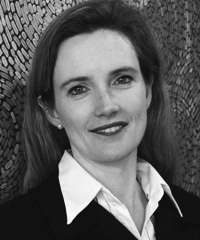 Jones is the former Deputy Director of the Evian Group at IMD (a trade think tank). She has also worked for the Office of the UN High Commissioner of Human Rights and served on the Australian delegation to the UN Commission on Human Rights. She also has private sector experience gained from working in the financial markets and in management consulting.